Don't use a window mount, because it adds instability to the unit. I suggest that you go with the first picture, except you could shorten the length to 24", leave the width alone. Add 4 leveling screws and a 2 way T level. The Vortex window mount is rock solid when tightened down. I have no idea how long it will stay tight though. I think that other than 40-50 mph winds, it should work out. I will be trying a narrower version, partially because at 15” wide, it just too damn cumbersome, and will take up too much room on the bench. I still have the original cross members, so I can re-install them in a few minutes. I don’t want to shorten the length just yet. The current length will let me cantilever the unit out past the end of any shooting bench I might come across. Hunterjoe, looks like you are ready to go. The muzzle location relative to the unit is an important setup parameter. 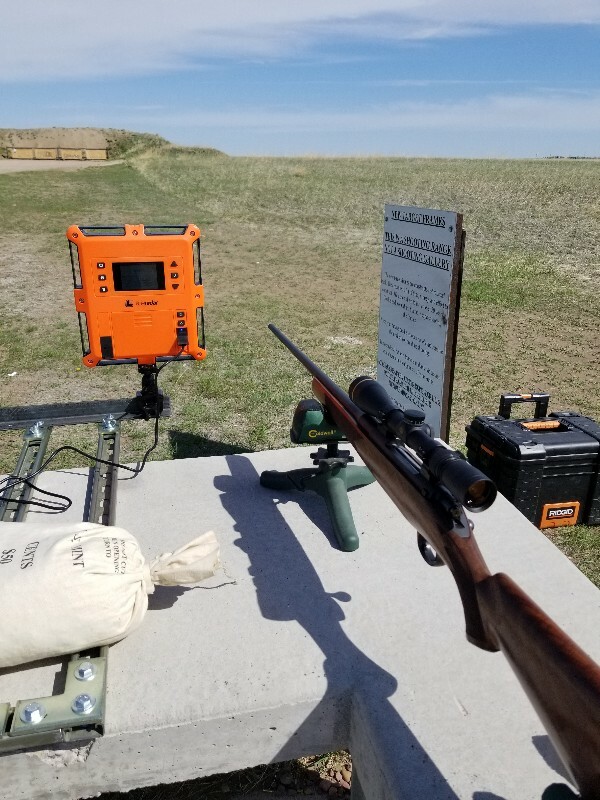 My unit is always out in front of the shooting bench. The platform for the LabRadar also holds my sandbags and rifle so I have enough weight to hold it secure from wind and suspending out in front of the bench. How will you secure your unit? I always have sandbags in the bed of my truck. If I need to cantilever the “business” end out past the end of the bench, I’ll throw a sandbag on it to hold it in place. Come to think of it, it’s probably not a bad idea to throw a sandbag on it when I set it up anyway. Come to think of it, it’s probably not a bad idea to throw a sandbag on it when I set it up anyway. The other reason for not using the window mount is the height of the unit. A smaller wind could make it rock and fall. You could add outriggers to the ends of the narrower width to help with side stabilisation. 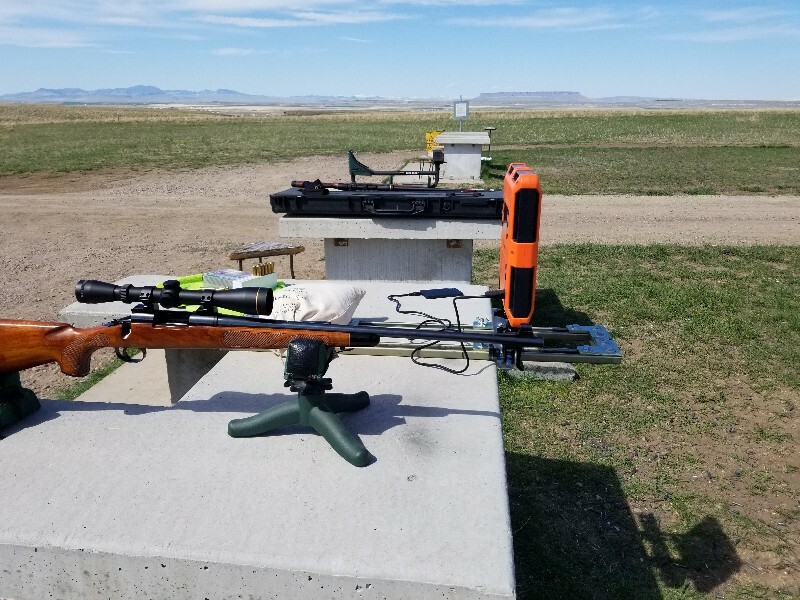 I finally made it to the range this morning. It seems that the frame will work as it is. Some photos of my set-up. hunterjoe, glad the setup worked well. 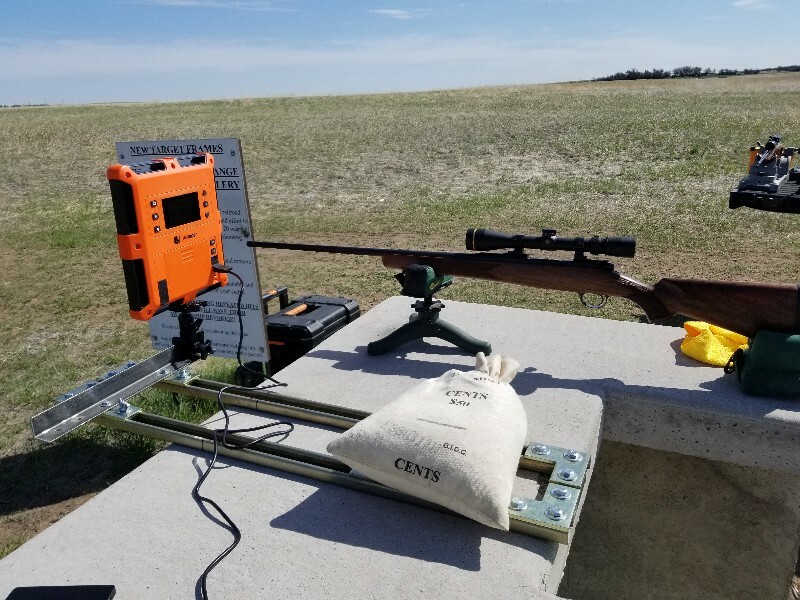 You had a beautiful day for your recoil therapy. Looks like it will be quite flexible with whatever firearm you bring.